Pink Again, and Lagoona B. 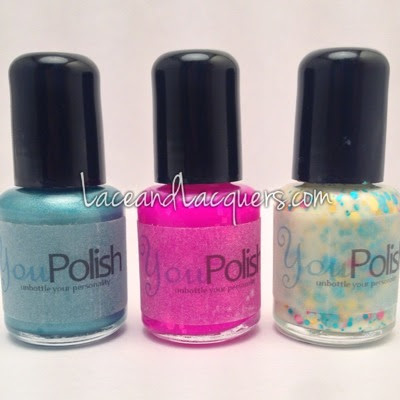 Today I'm reviewing the June box for You Polish! The sub boxes are sold out for the month of June, but this still gives you an idea of what to expect! Swatch, review and info after the jump. 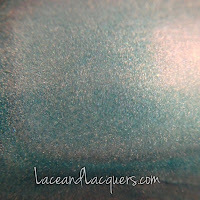 Teal We Meet again is a teal linear holographic polish. 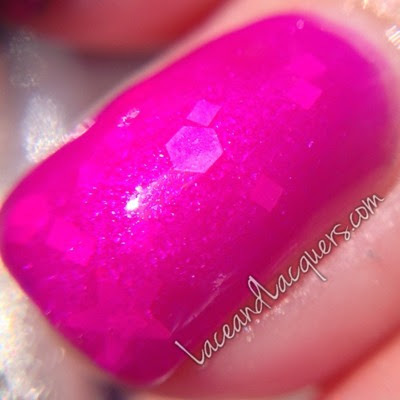 When you meet this polish you will not be disappointed. 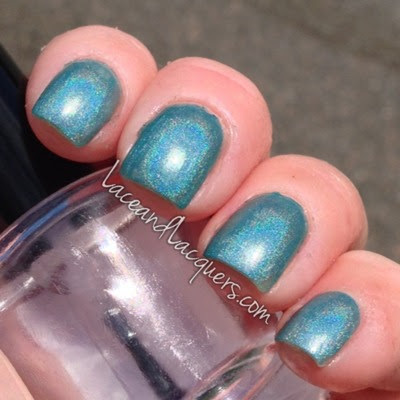 I took my pictures in the sun to show off the holo, but you can definitely see it indoors as well. 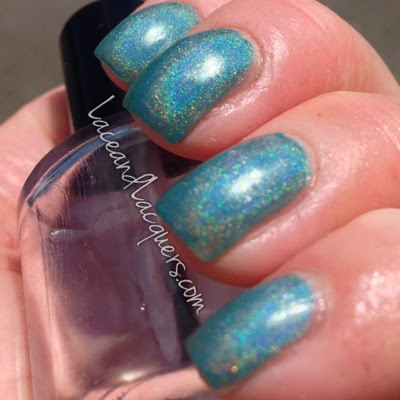 I feel like one can never have enough blue/teal holos! I did two coats of Teal We Meet Again, no undies or top coat. It was a smooth application and there was no dragging involved when applying. In addition, the dry time was also on point. This is Pink Again. 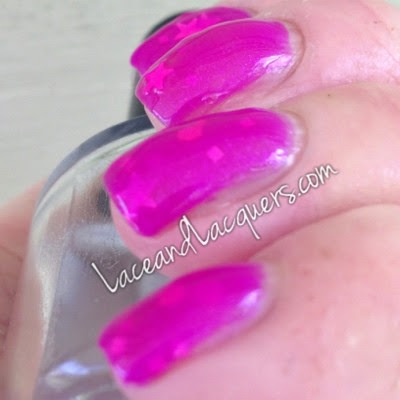 While it looks hot pink in the bottle, this is more of a neon fuchsia. 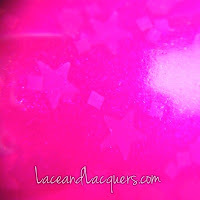 In the fuchsia crelly base you will find purple shimmer, hot pink hex, squares and stars. The pink glitter pops against the fuchsia a LOT more in real life. It's an awesome mix. I did 3 coats, 4 on some other nails, with no undies, plus top coat. I like how this builds up and creates a sandwich effect. If you don't want to be bothered by layering, I feel this would look fine over white as well. No application issues and it dried pretty darn quick between coats to be honest! 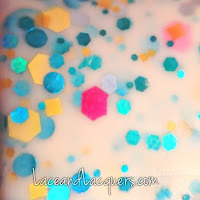 "Lagoona B is a pale yellow crelly with a mix of circles, hex and square glitter in yellow, turquoise and pink. While I have no idea who Lagoona is, haha, I do enjoy this polish for how unique it looks and how much the colors pop in the base. I wish I grabbed a bit more of that pink glitter, I think it's a fun contrast! 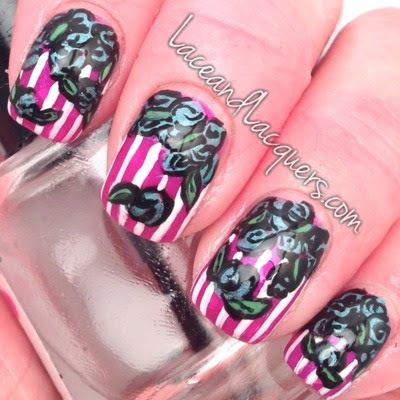 I did 2 coats of Lagoona B. It was a lot more opaque than I thought it would be, always a nice surprise! It was a smooth application and it dried pretty quickly. I wish I would of had more of the pink on the nail. (What? Lacey wants more pink!? haha) If you're looking for more pink glitter - Lagoona B. also comes with a bag of pink flower shaped glitter you can place on your nail :]"
I did a little nail art, I was itching to do some SO BADLY! 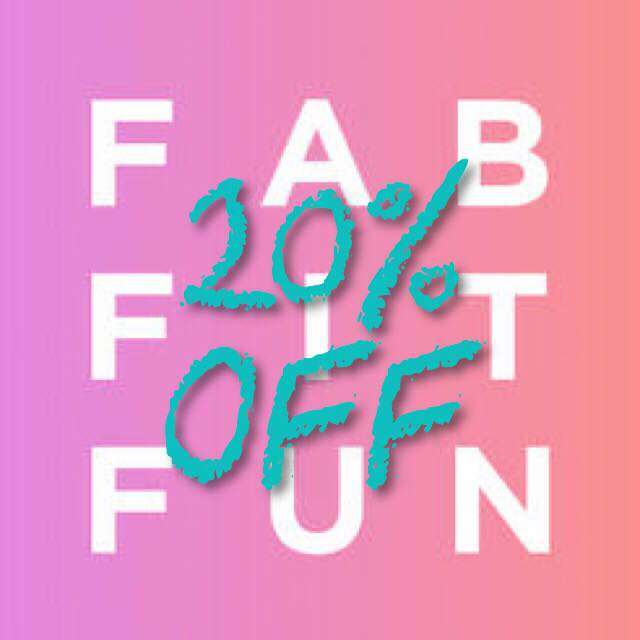 Have a nice afternoon 'n stuff! I did not even know this subscription existed! This would be really cool to have! 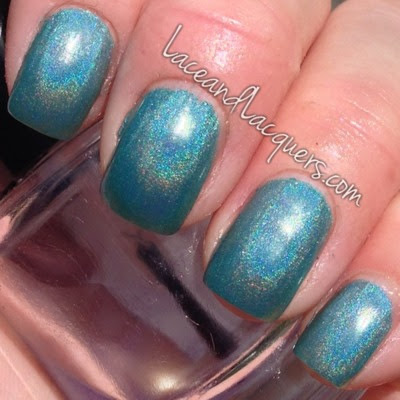 I love all the nail colors, especially the Lagoona B!